How was your Halloween? Ours was so much fun! On Friday night, Em's program had their Halloween party and afterward, we went Trunk or Treating at her school. On Halloween, we spent the day at my sister's house and made an AWESOME Chipotle Chicken Pot Pie. I am going to preface this recipe by telling you that you have GOT to make this recipe RIGHT AWAY. The flavor was incredible and the smokey chipotle peppers totally stole the show. I didn't even need to season the pie filling! The filling is overflowing with vegetables and chicken. I made the filling really thick but you don't have to make it as thick as I did. 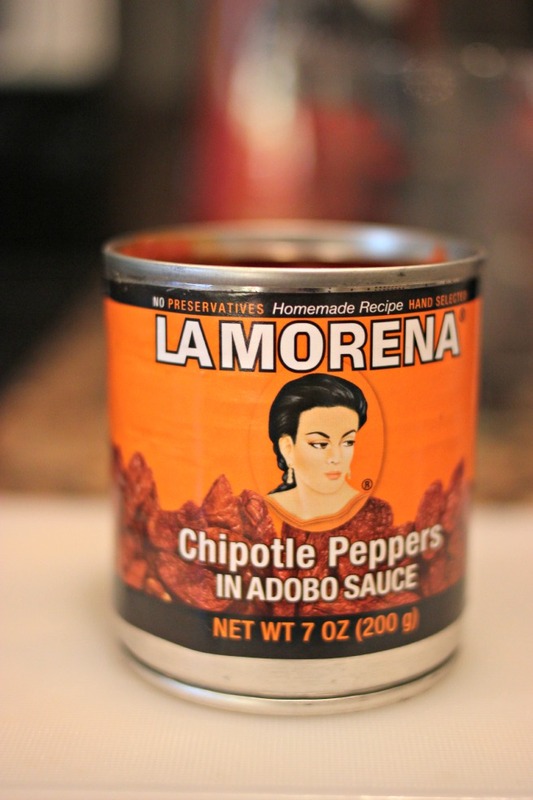 I use La Morena's Chipotle Peppers in Adobo Sauce. The smokiness is so perfect and they have such a nice kick to them (of course, it does hit you a second or so after your first bite!). 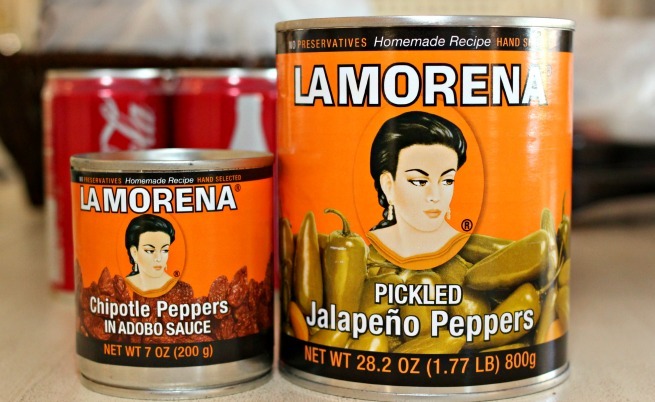 After the first time I tried La Morena's products, they became my go to brand for canned peppers. Now, I have to tell you that this was my FIRST time making a pot pie. I was so nervous but I just KNEW it would be amazing. I was RIGHT! I made a HUGE pot of filling because I planned on filling our freezers and I am glad I did! Puree half a can of chipotle peppers in adobe sauce. (You can ALWAYS add more if you want more chipotle flavoring). 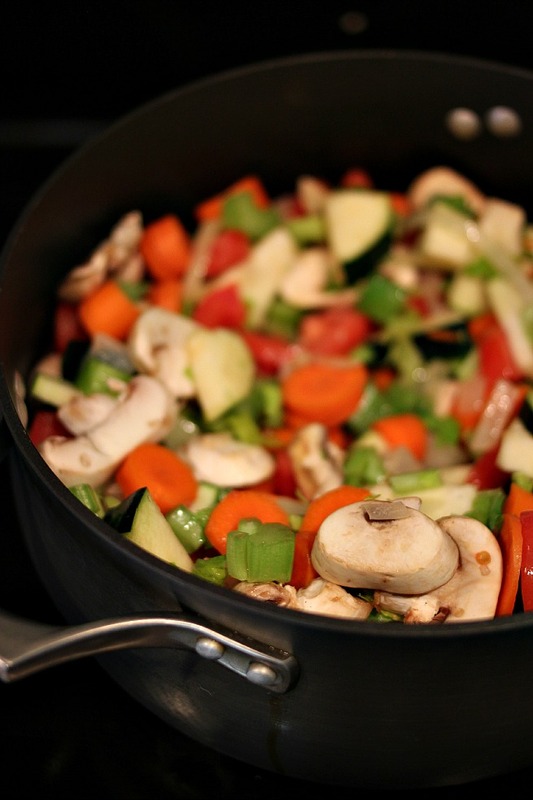 Allow to simmer until veggies are soft. I cheat. I use premade pie crust BUT if you make your own, use it. I also need your recipe.. ;). I made my pot pies into single serving sizes. I was tempted to make hand held pot pies but decided to go with the small pies. My pan makes four at a time and they're the size of the ones you get in the freezer aisle. 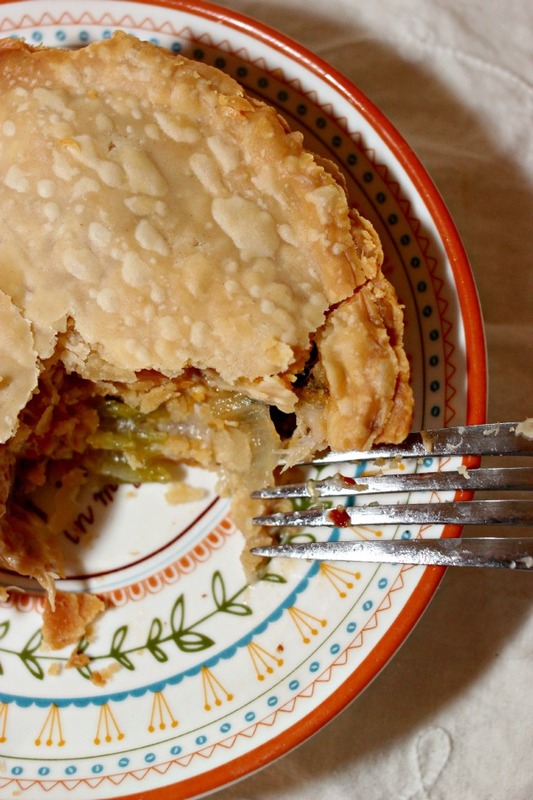 You also can make this as a large pot pie. 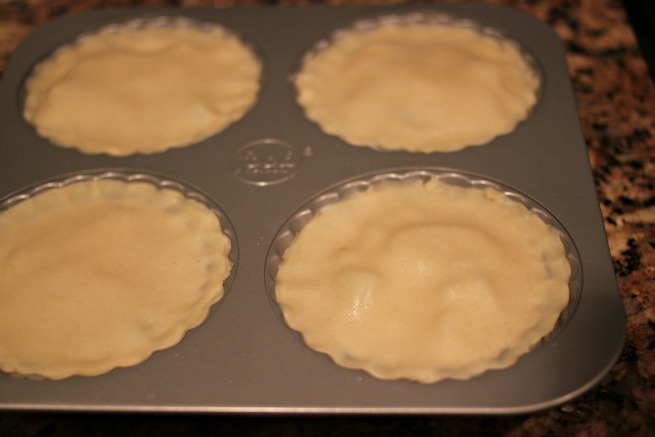 Press pie crust into each opening and fill each pie to the first line of the pie pan. Then top each with another layer of pie crust and press to seal. Bake at 350F for 25 minutes or until crust is golden brown. 1 onion, halved and sliced. 3 garlic cloves, minced or pressed. 1 large zucchini, cut in half lengthwise and then sliced. 1/2 head of celery, cut into slices. Cut the top half, that's where the leaves and allll the flavor reside. 1/2 can - 7 ounce can of La Morena Chipotle Chili Peppers in Adobo Sauce, pureed. 1. Melt butter in bottom of pan, add onion. Cook until onions are translucent and add garlic. Cook until fragrant. 2. Add carrots and zucchini the pan and saute for a few minutes and then add the remaining veggies. Turn oven on to 350F. 3. 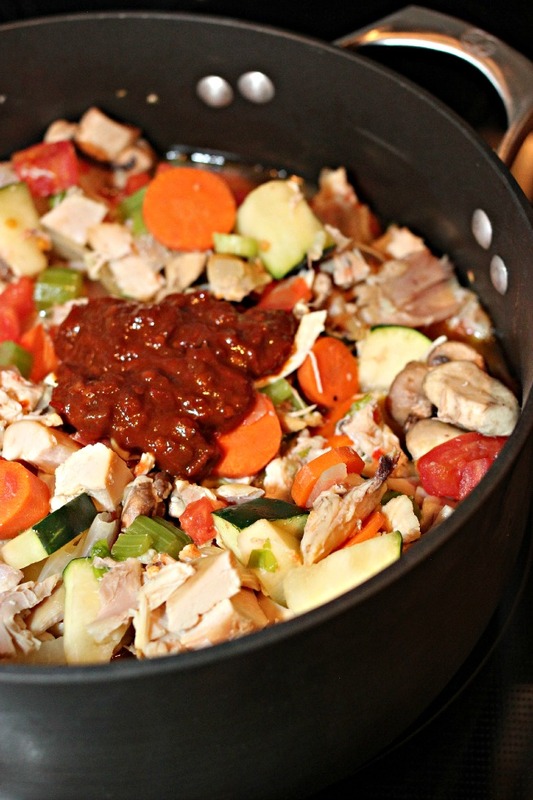 Add chicken, chicken broth and chipotle puree to pan. Cover and simmer for approximately 10 minutes (to allow all the vegetables to soften). 4. Prepare cornstarch slurry of 1 cup of water + 1 tbsp of cornstarch. Add to pan and whisk in. Allow to thicken, if it's not to the desired level of thickness, add 1 tbsp of cornstarch to mixture and continue doing so until it's at the level of thickness you would like. 5. Cut pie crust to fit pan. 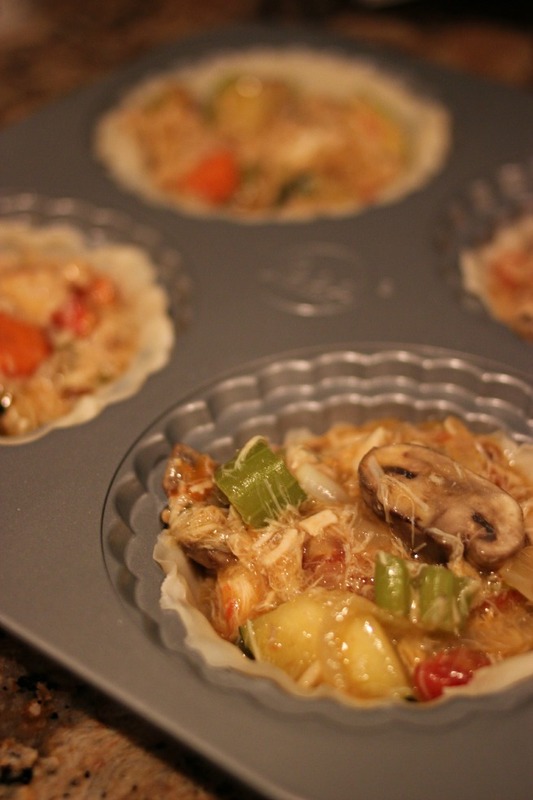 Press the bottom layer into each pie pan (if you are using the single, mini pot pie pan I used). 6. 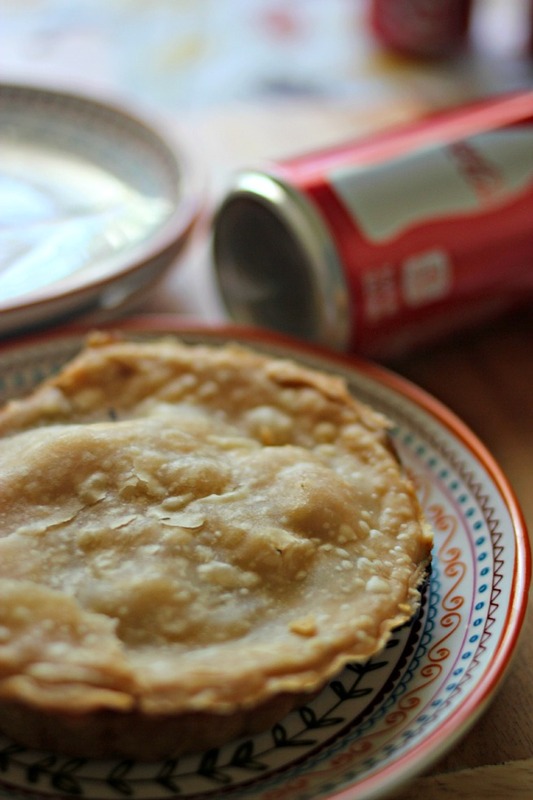 Fill each pie with filling and press top layer to firmly seal and cover each pie. 7. Bake for approximately 25 minutes (until golden brown). PS You will most likely have a LOT of filling left over. 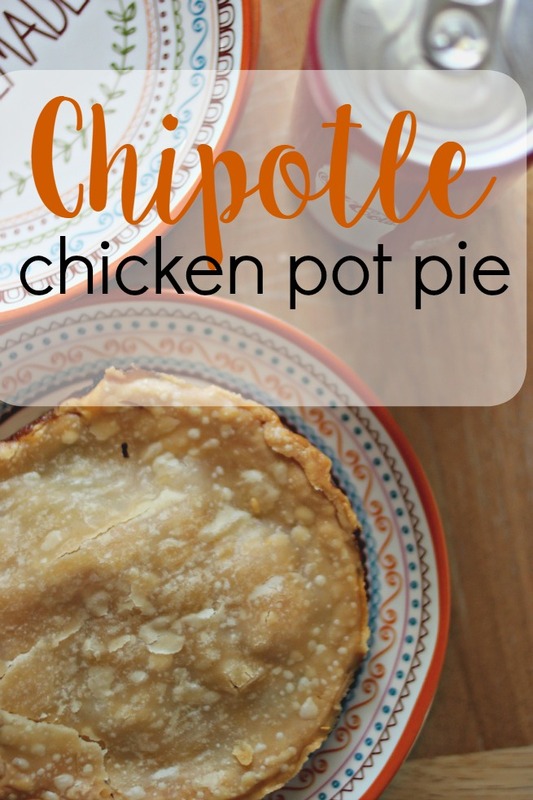 You can use it to fill burritos, make a soup, or make pot pies to freeze for later! 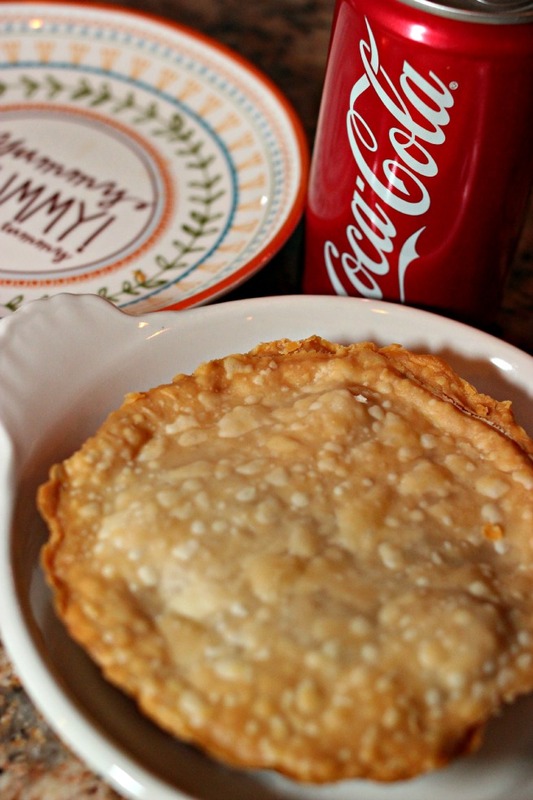 These Chipotle Chicken Pot Pies pair extremely well with an ice cold Coca Cola! 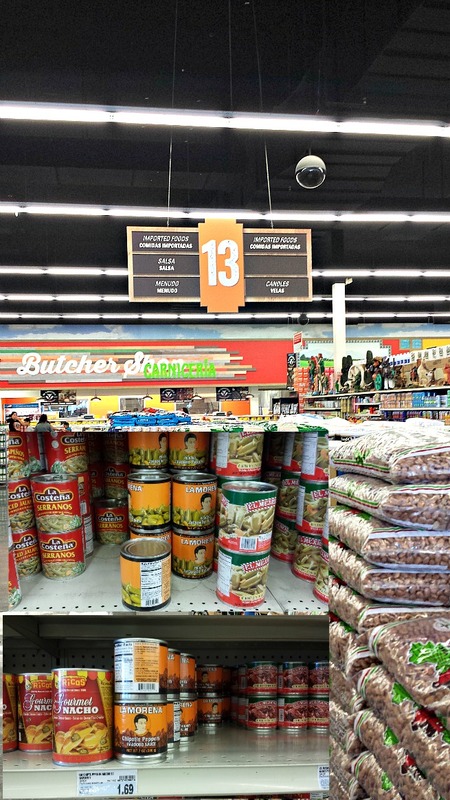 La Morena can be found at Food City in the Imported Foods and Salsa Aisle. 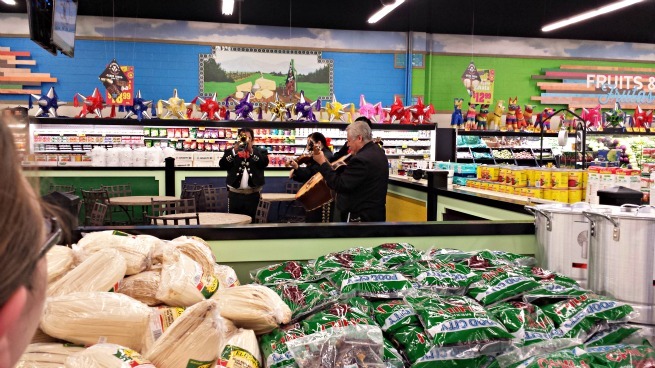 While you are there listen to some live Mariachi music. How awesome is that? Emma and I LOVE live music and we truly appreciate the art of music. For me, I love Mariachi music and it can be both calming and invigorating. 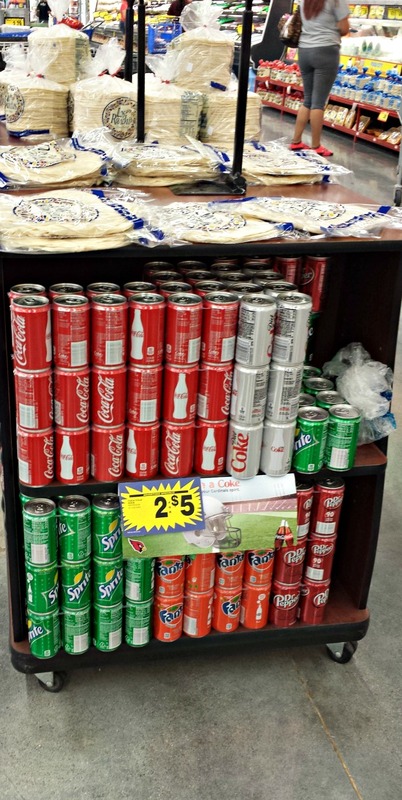 And of course, don't forget Coca Cola to go with the Chipotle Chicken Pot Pie that I know you are going to make VERY soon... right? What is your favorite fall comfort food recipe? Please share it to your favorite social media account and pin it for later!